Our volunteers participate in a coordinated Rescue Network on Saturdays to transport our shelter animals to reputable rescue organizations in the northeast. Because some other states have done a wonderful job with humanely controlling their unwanted pet population through spay/neuter ordinances and community education, they do not have the excessive numbers of homeless pets that we do. How it works: Every Saturday morning, volunteers meet at our shelter to drive our rescue van (or their personal vehicle if they prefer) with cats and dogs to Richmond, Virginia. Here they take a pit stop and meet other volunteers who help switch the pets to their vehicles, and from there the lucky animals continue on their journey to their forever homes. Last year we rescued 804 dogs and 173 cats! It is a very meaningful experience. For more information or if you'd like to volunteer for any Saturday, please call the shelter M-Sat 12-4 PM at 252-520-0003. 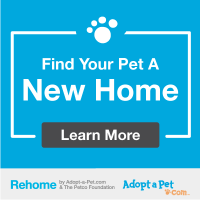 We have tremendous respect for reputable rescues, and are always seeking to partner with groups who can care for & foster our wonderful pets until their forever home is found. To ensure that our animals are placed into legitimate and proper rescue groups, there is a screening process for the organization. If you are with a rescue organization and are interested in helping one or more of our animals, please call the shelter M-Sat, 12-4 PM & we'll get you in touch with Kris, our Rescue Coordinator. You will be required to provide your organization's adoption contract, vet's name/phone number so that verification can be obtained to condition of animals in your care, name of director or intake director, a brief overview of your screening process, and other information as necessary.